Mrs. Juanita Williams Harris was born to the late Frank and Tommie Williams in Baxley, Georgia on September 14, 1942. She was affectionately known as Pie to her family and friends. She was married to the late Ernest Harris, Jr. She joined Mizpah Baptist Church at an early age, and was baptized. She was employed at Chevron convenient store for many years, until she was unable to work due to health problems. God dispatched His angels to receive Juanita into eternal rest on November 10, 2017. 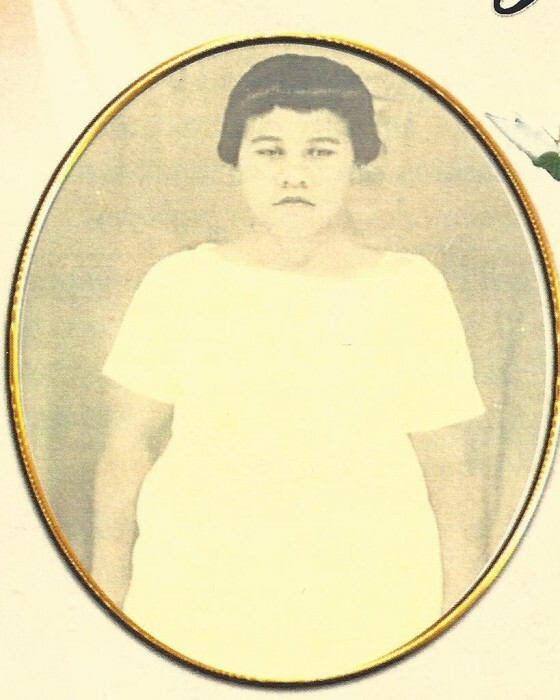 In addition to her parents, Pie was preceded in death by her husband, Ernest, Jr.; son, Allen; sister, Loucille and brothers, Eddie, Audrey, Richard, Wilbert, James, Albert and Vernon Lee Williams. Loving memories of Juanita will be shared by her two children, Charles Harris, Sr. (Sylvia) and Lisa Harris, both of Boxley, GA; two sisters, Elizabeth Walters of Brunswick, GA and Barbara Thomas of Baxley, GA; two brothers, Horace Williams (Maymie) of Athens, GA and Ronell Williams of Savannah, GA; grandchildren, Sharoder Moore (Anterrio), Charles Harris, Jr., Shannon Harris, Pernell Harris and Terrell Harris. She will also be missed by her host of great-grandchildren, nieces, nephews, cousins and friends.